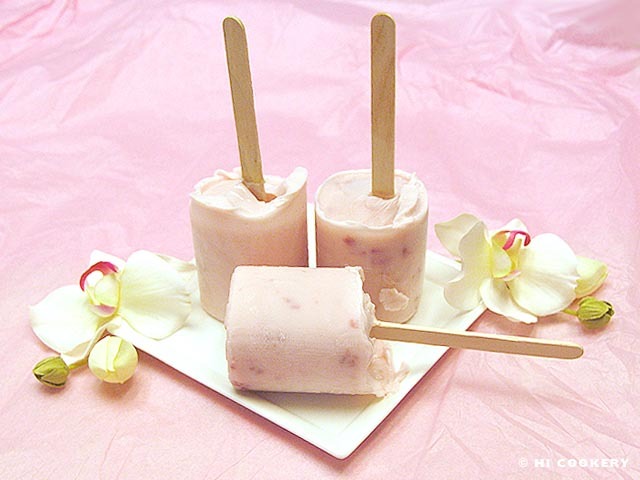 Our Texas temperature is already hot, so we treat ourselves to something cool at our local ice cream, gelato or frozen yogurt parlor or shop. Sometimes, ice cream and gelato are too “heavy,” so we eat frozen yogurt, which can be a “lighter” and healthier option. Lately we have been trying probiotic products, such as specifically-labeled yogurts and specialty drinks, supposedly because the “good bacteria” in them aids in digestion. Islander, who is lactose intolerant, wonders whether probiotic products can help her digest dairy better. More research is needed to confirm claims of the benefits of probiotic products. Nevertheless, we found it fun, easy and cheap to freeze probiotic yogurts in their own containers for a cool snack when the weather is warm—or when it is National Frozen Yogurt Day! Using a sharp knife, carefully cut a small slit on top of each of the foil covering of the yogurt. 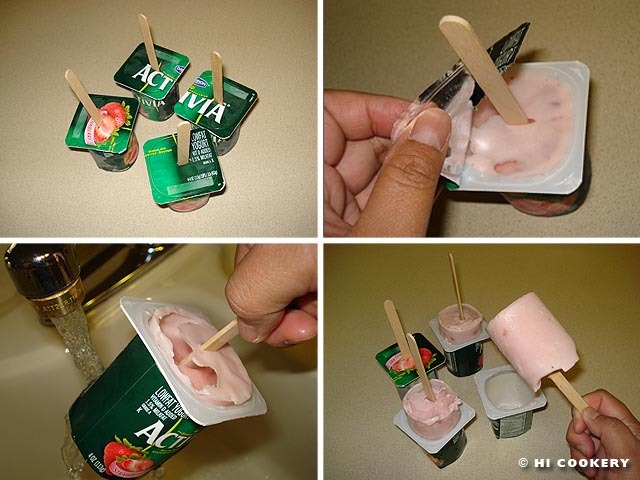 Insert a popsicle stick (or plastic spoon). 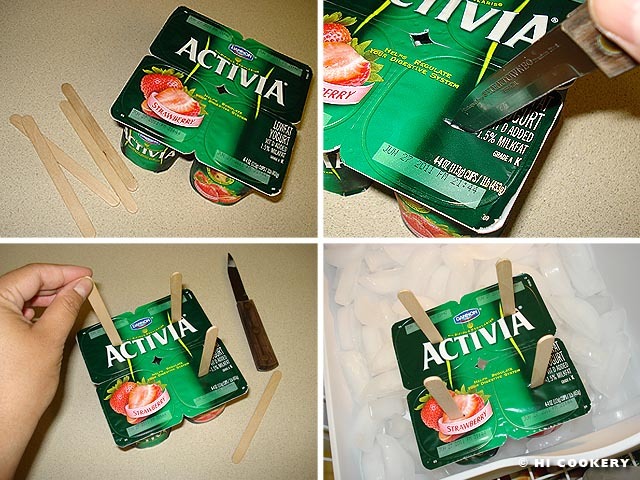 Freeze the yogurt containers until firm. Remove from the freezer. Separate each yogurt container from each other. Tear away the foil cover. Pull out the frozen yogurt (run warm-to-hot water on the bottom edge of the container to help loosen the contents, if necessary). Enjoy immediately. Click on the following websites to read more about probiotic yogurts: The Nibble report, Probiotic Yogurt posts and Wikipedia entry.